What’s the optimum macro split for fat loss? Macros. This is a term that confuses many as there’s a misconception that there’s a magic formula that will accelerate fat loss. The first time I heard about macros in relation to fat loss was when I was part way through my first round of the 90 day plan. For some reason we all expected to be handed the key to the magic at graduation and when this wasn’t the case some of us turned to other plans or signed up again to experience the magic again. To fully understand the science behind what we were asked to do during the plan, I decided to go away and sign-up to MNU and learn the secrets for myself. So here it is…….the magic you’ve all been waiting for. 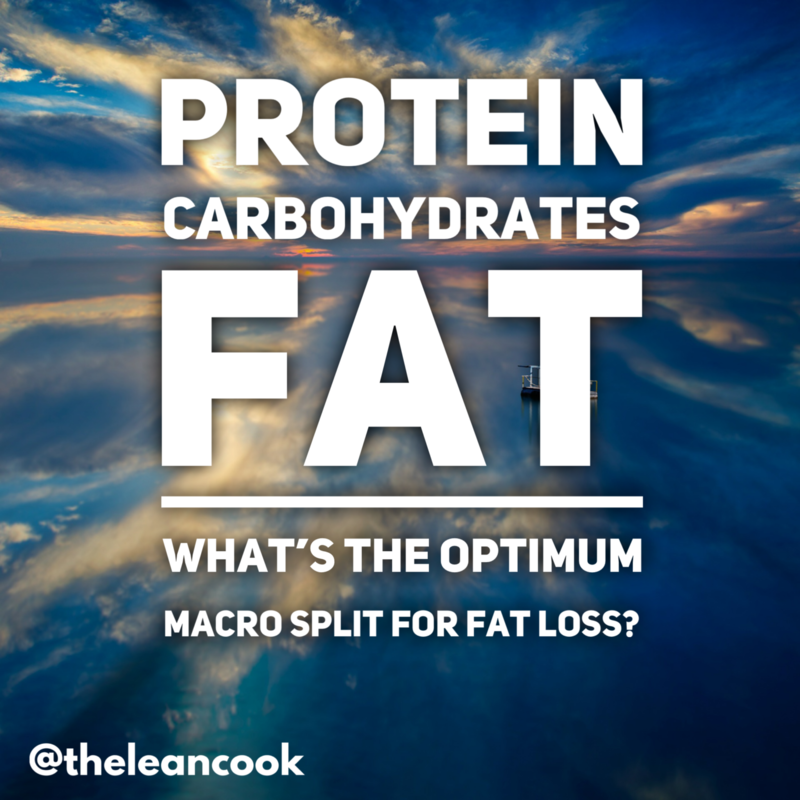 The secret macro split for fat loss is………………………………there isn’t one. Calories are the answer. Calories will determine your progress when it comes to fat loss or muscle gain, but like in all great mysteries, there are some other deciding factors that can influence your success…….stress, sleep, exercise for example. If your goal is fat loss, the first area to focus on is calories and creating that vital deficit between the calories you consume and the calories your body uses, and then it’s protein. When it comes to carbohydrates and fats, eat these at a level that you’re happy with, but remember that our bodies favoured energy source is carbohydrates, so don’t expect to put in a stellar 5k performance at this weeks Park Run if you’ve been on a low carb diet all week. How many calories should you be eating? There are various formulas/equations that take into account many variables such as age, height, weight, activity levels etc, and to simplify matters we’ve added a simple calculator to my website and a link is below. Calories are everywhere and with extensive food labelling and many restaurant menus featuring calories, it couldn’t be simpler to negotiate your way around the world of calories, but how you manage them is another post entirely! Click here to use my Calorie & Protein calculator.